1 photograph : b&w, mounted on matboard ; 16 x 18 in. Item was donated by Holly Melanson on September 1, 1999. 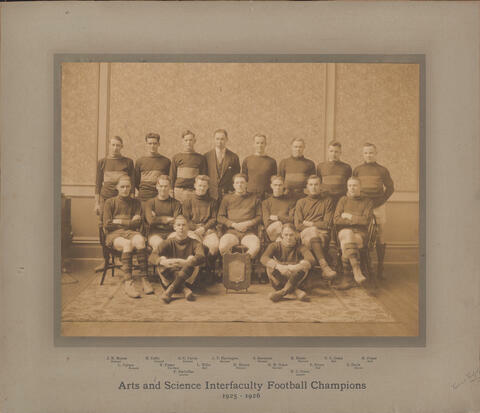 Item is a photograph of the 1925-1926 Arts and Science Interfaculty Football Champions. 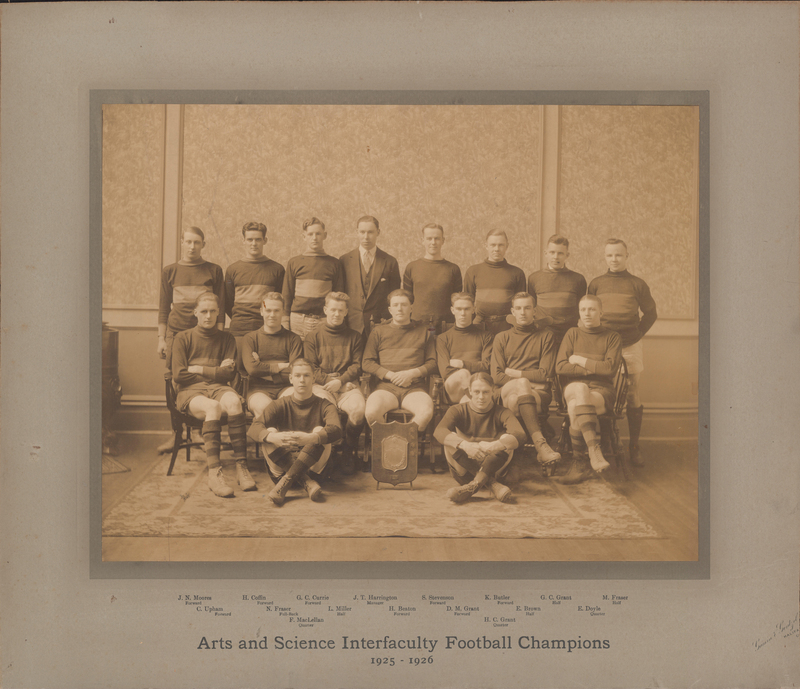 The photograph shows J. N. Moores (Forward); H. Coffin (Forward); G. C. Currie (Forward); J. T. Harrington (Manager); S. Stevenson (Forward); K. Butler (Forward); G. C. Grant (Half); M. Fraser (Half); C. Upham (Forward); N. Fraser (Full-Back); L. Miller (Half); H. Beaton (Forward); D. M. Grant (Forward); E. Brown (Half); E. Doyle (Quarter); F. MacLellan (Quarter); and G. C. Grant (Quarter) sitting or standing in three rows with a plaque. Photograph is mounted on matboard.